I seem to have discovered a weirdly open loophole on YouTube that allows me to watch videos that are "not available on mobile devices" on my iPad. But now, after a website refresh, the "HQ" toggle button has disappeared. I decided that I will find a way to switch to standard quality videos again. Just like everyone, I hate to wait. I scrolled down to look for some settings, but didn't find any. At the bottom of the page, though, I found the link to the Desktop website. I don't know why I decided to give it a try. On the desktop website, I was surprised to see that for many videos, I got the HTML5 player that allowed me to select video quality like it does on my computer. 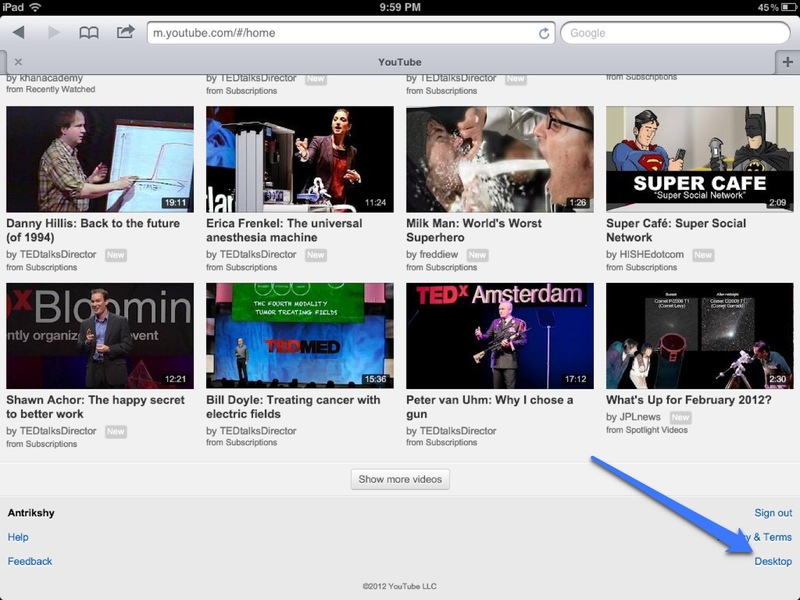 For many videos, I was getting a standard iOS video player. I randomly decided to try playing videos that have ads in them and are blocked on mobile devices, since I was getting a normal YouTube player. 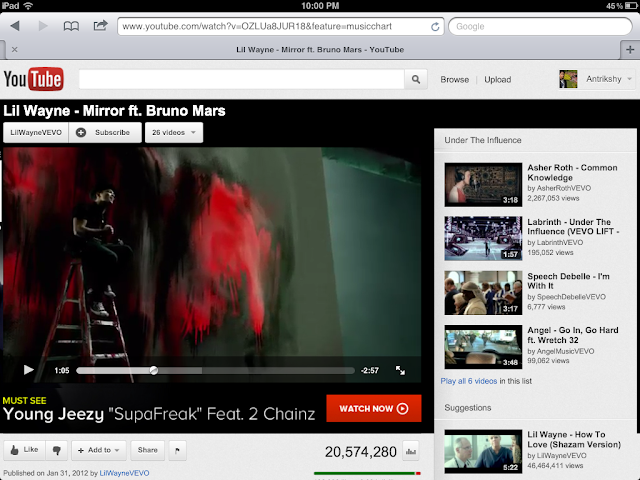 I thought, maybe the player will show me the ads and let me watch music videos. But voila! Music videos from artists' VEVO channels also seem to play normally even on my iPad when I used the desktop website! Is this really a loophole? Has YouTube missed out on something during their website refresh? Does this work on other devices as well? What about iPhone? What about other tablets? Tell me (and other readers) in the comments! 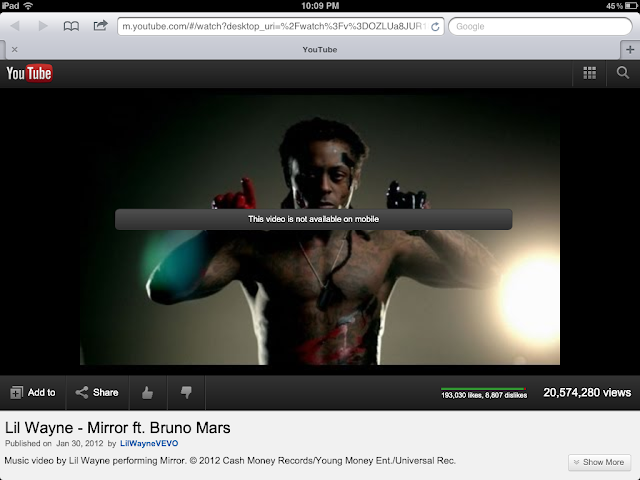 Also, here's how to disable the really bad YouTube iOS app.